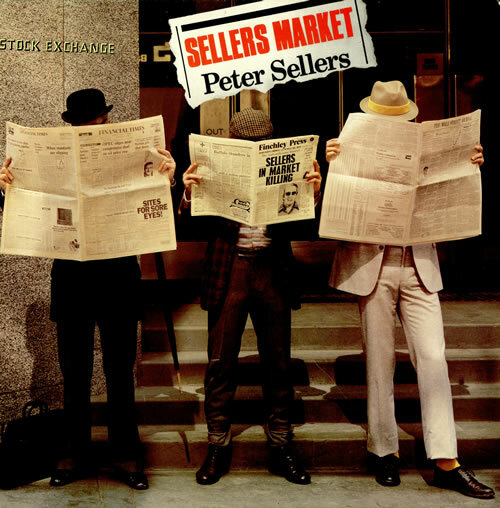 PETER SELLERS Sellers Market (1979 UK 8-track LP, featuring comic songs & monologues including The All-England George Formby Finals & The Compleat Guide To Accents Of The British Isles, glossy gatefold picture sleeve. The sleeve shows only a bit of light scuffing & the vinyl looks barely played UAG30266). or visit our Peter Sellers image gallery.